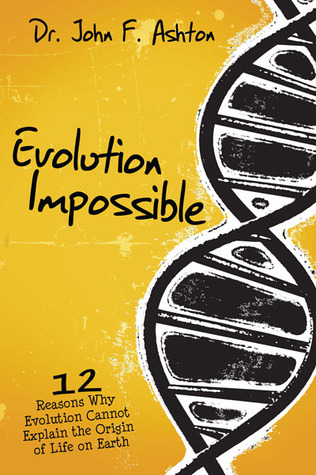 The author outlines the history of evolution and how the theory came to be. In the beginning of the book he doesn't completely discredit evolution, but instead highlights the major mechanisms of evolution. Then point by point he finds the flaws in the theory while backing it up with his own research and the research of other professional scientists. The first point has to do with the complexity of E Coli's DNA. E Coli is a single celled organism that is supposed to have evolved into an even more complex bacteria.Taking that point he calculates the possibility of evolution as 1 chance in 10 to the 150 power, "in other words abiogenesis is absolutely impossible". Through out the book Dr. Ashton continues to compare/contrast the theory of evolution and creation. While some of the points have some complex science, the concepts are easy to see. If you love learning about the wonders of God, this book will give you a look at the genius and magnitude of our creator.